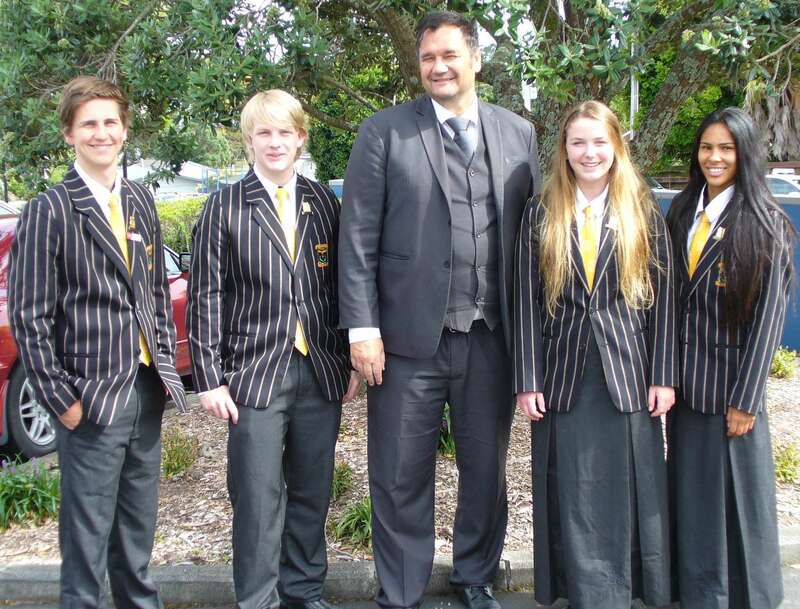 The Massey High School uniform is a symbol of the school to which pupils belong and of which they can be proud. The school expects students to maintain a high standard of grooming at all times. 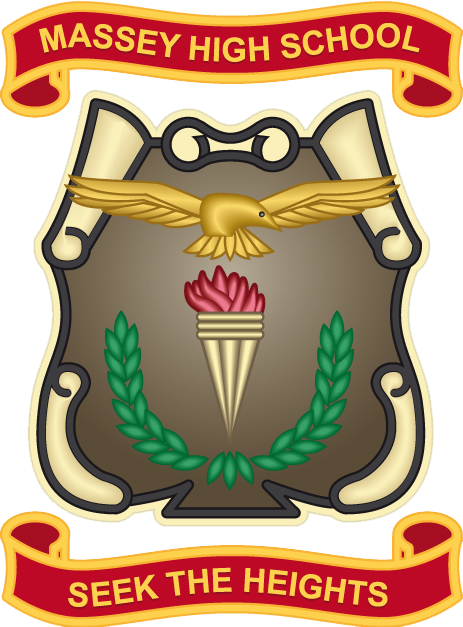 It follows that the uniform should be worn complete and in a way that reflects credit on both the student and the school. Uniform standards are vigorously monitored and students have a responsibility to conform to those standards. Uniform will be sold from the Waitakere Rugby Clubrooms which is located downstairs in the Trust Stadium during January. You are able to lay-by items and collect in January. The shop at Trust Stadium will be open from 9 January 2019. Shoes - Plain black with no extra colour, decoration or labelling. No sandals. No sports shoes. No canvas shoes. No boots of any description. Standard leather lace-up school shoes, all year. Shoes - Plain black with no extra colour, decoration or labelling. No sandals. No sports shoes. No canvas shoes. No boots of any description. Standard leather lace-up school shoes, all year. Black slip-on shoe with one band over the top. The brand name and style recommended is Cassini “Isolate”, only purchased from our uniform suppliers. Similar shoes from other outlets are acceptable but they must be leather i.e. they can be polished and have one band over the top.